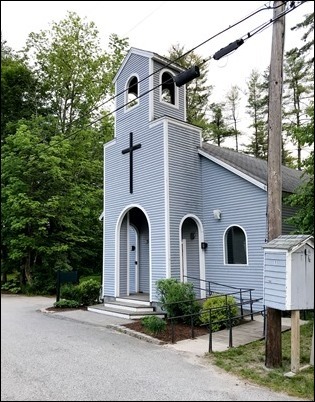 Last Thursday, we had one of our regular St. Andrew Dinners at St. Edith Stein Church in Brockton. 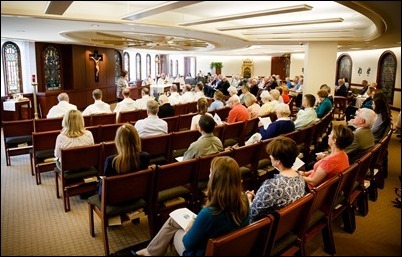 We periodically hold these gatherings in different areas the archdiocese, which are an opportunity for young men considering a vocation to the priesthood to come together for Vespers, share a meal and listen to witness talks by our seminarians. 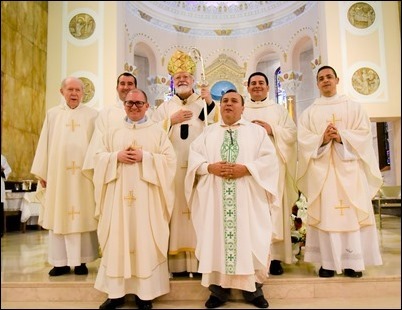 This time, we heard talks by seminarians Marcos Enrique and Tim Hynes, both of whom are transitional deacons. 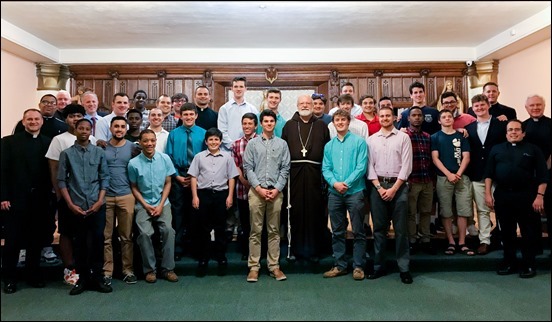 These dinners are an important moment for us to promote vocations and encourage young men to be open to the call of ministry in the Church. 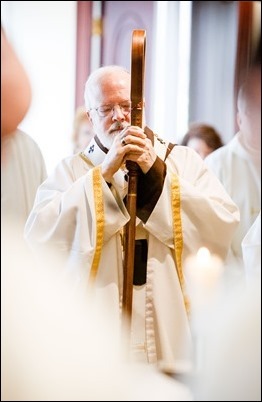 We are very grateful to Father Joe Raeke for hosting us. 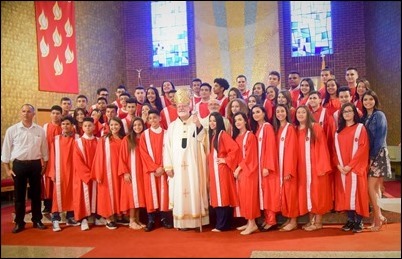 Over the weekend, I celebrated confirmations for the Brazilian Community in the Archdiocese of Boston. 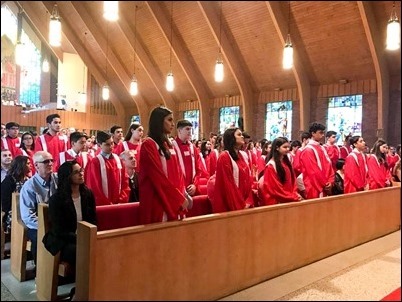 Traditionally, we hold this celebration on Pentecost at the cathedral, but because of the ongoing renovations at the cathedral and the number of confirmands, we held celebrations at two different locations. 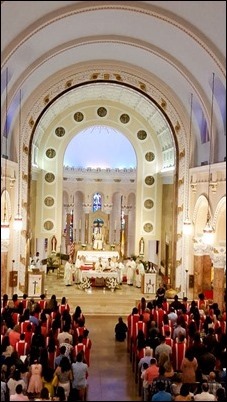 Saturday, we went to St. Anthony Parish in Everett. 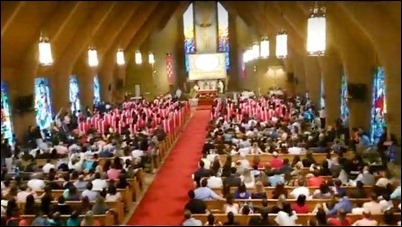 And on Sunday we were at St. Tarcisius Parish in Framingham. 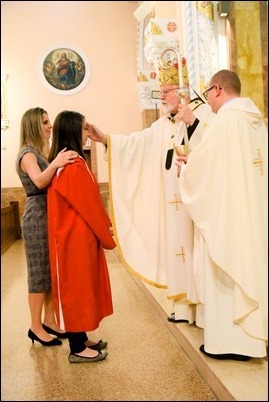 Both parishes are run by the Scalabrinians and Sister Elisete Signor, who is a Scalabrinian Sister, was also very much involved in organizing the celebrations. 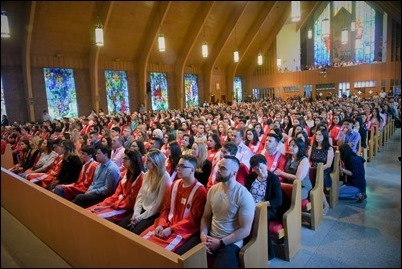 Between the two celebrations, there were about 260 young people confirmed. 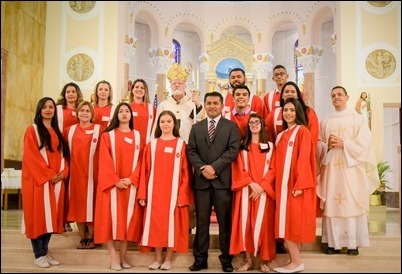 Of course, in addition to the confirmands and their families, we were joined by a number of catechists, sisters and priests who minister to the Brazilian Community. This is always an important event for the Brazilian Community, so I was very happy to be able to be with them to celebrate this important moment in the life of so many of our young people. On Tuesday, I met with the Consul General of Israel to New England, Yehuda Yaakov, who is returning home after several years in Boston. I have met with him on other occasions and he has been very involved in initiatives promoting cooperation among the interfaith community. 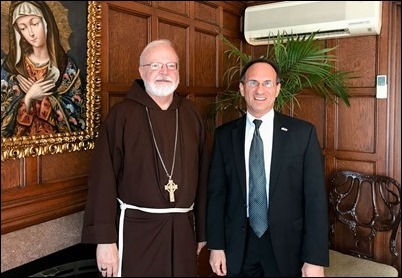 We are very grateful for his work here and wish him many blessings as returns back home to Israel. Also that day, I met with the outgoing Deputy Consul General of Taiwan in Boston, Bruce Chen, who came to present the incoming Consul General, Douglas Hsu, who has just arrived. 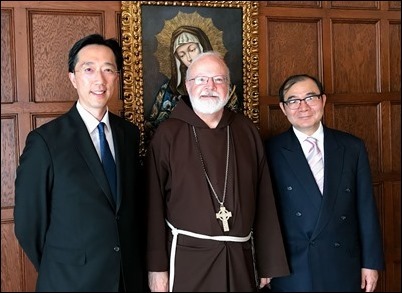 Mr. Chen has always been very supportive of the Church’s initiatives and, of course, we talked about Archbishop Paul Russell being Apostolic Delegate in Taiwan and the wonderful experience he had representing the Holy See there. 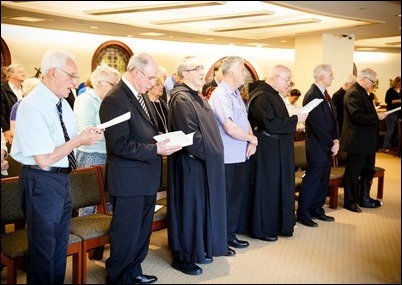 That afternoon, we had the annual board meeting of the St. James Society at which we heard reports on activities of the society, including new recruitment efforts and an update on new priests who are coming to the society. It was a very profitable meeting. 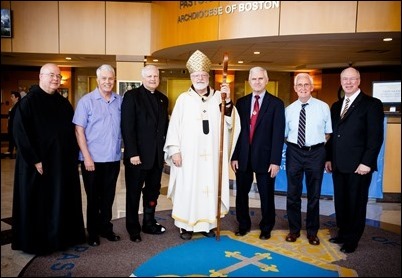 We are very grateful to the members of the board and, in particular, to Father David Costello for his fine work as the director of the society. 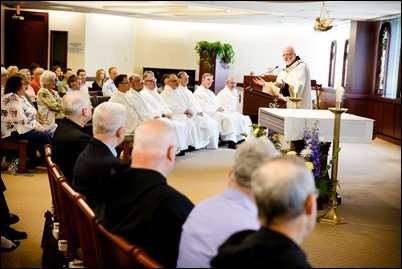 Wednesday, we invited the priests celebrating their 25th Jubilee of ordination and religious brothers who are celebrating their jubilees of religious life to join us for a Mass and reception at the Pastoral Center. 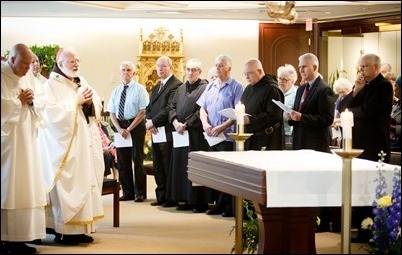 Our Silver Jubilarian priests were Father Lou Palmieri, Father Tony Medeiros and Father Robert Carr. 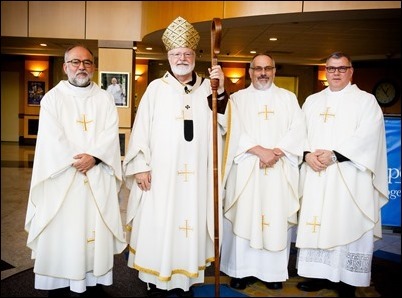 The jubilarian brothers were Brothers James Halliday, FMS; Kirk Phelps, CFC; Kevin Courtney, FMSI; David Coakley, OSB; and Thomas Puccio, CFX were celebrating 50 years of religious life, and Brother Don Champagne, SVD was celebrating 60 years. 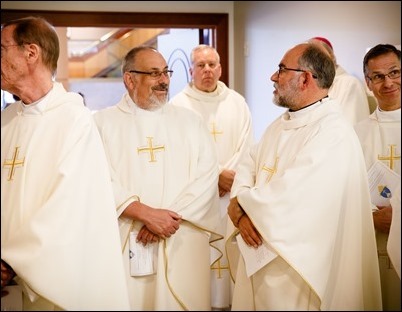 Having the brothers with us is an important way for the archdiocese to recognize the vocation of the religious brothers who, although they are not in great numbers, are a vital presence in the archdiocese. 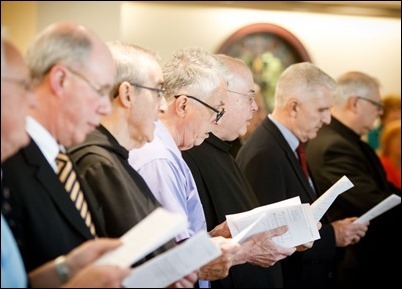 The charisms of their communities are a great blessing and the ministries they perform are crucial for the life of the life of the Church. 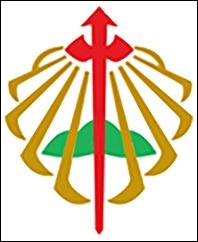 Finally, yesterday and today I have been attending the 26th meeting of the Joint Committee of Orthodox and Catholic Bishops. Metropolitan Methodios is the chairperson of the Orthodox delegation, and I am the chairperson of the Catholic delegation. 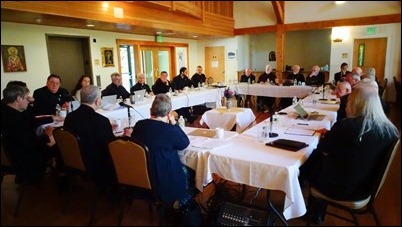 We hold this meeting once a year to discuss different aspects of the ecumenical concerns and pastoral relationships between our two Churches. 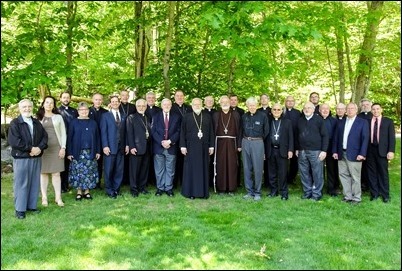 Participants in the conference are made up of bishops and theologians representing several different Orthodox churches. 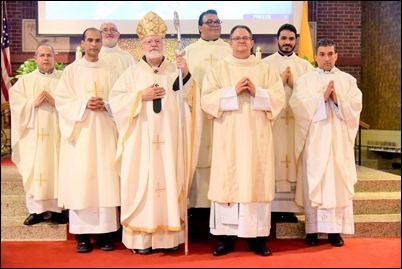 In fact, one of the priests with us is Father Stephanopoulos who had been pastor for many years in Fall River and is the father of George Stephanopoulos. 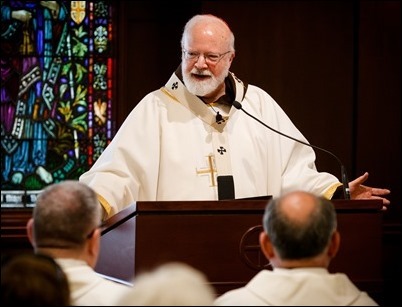 There were several points discussed during our Thursday meetings, including the situation of the Church in Ukraine and the Johnstown Statement that the Orthodox bishops issued on marriage. 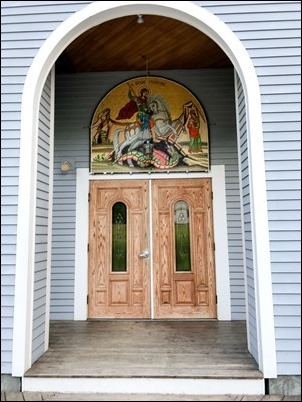 Today, we discussed the 2016 document of the Joint International Commission for Theological Dialogue between the Roman Catholic Church and the Orthodox Church entitled, “Synodality and Primacy During the First Millennium: Towards a Common Understanding in Service to the Unity of the Church.” This is usually referred to simply as the “The Chieti Document,” after the city in Italy where it was issued. 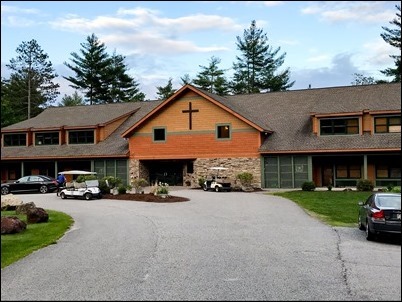 We have a beautiful venue for talks, the St. Methodios Faith and Heritage Center in Contoocook, N.H. 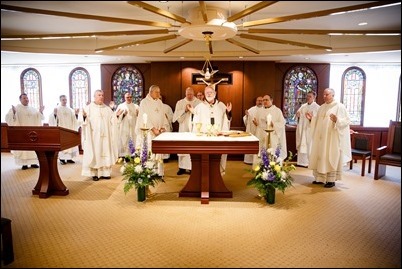 They have a beautiful Chapel at the center. 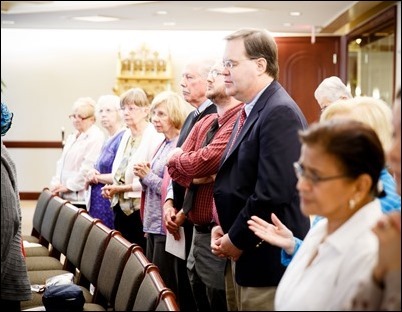 In addition to our discussions, our time together includes many opportunities for prayer. 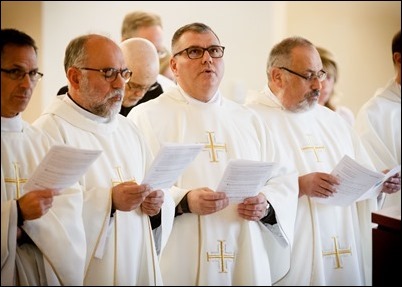 For example, on Thursday morning I celebrated Mass for the Feast of the Visitation, which was concelebrated by the Catholic priests and bishops and attended by many members of the Orthodox delegation. 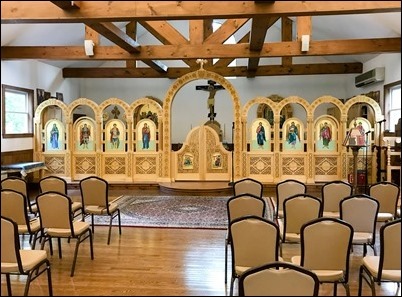 Also that morning, the Orthodox celebrated their morning prayer which is like our Matins. 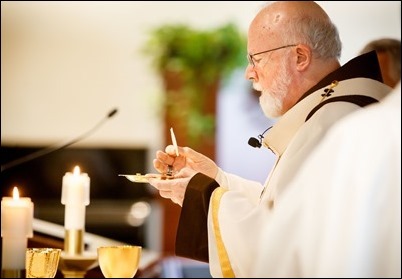 Of course, the Catholic and Orthodox churches share so much, including the sacraments, so these conversations and dialogues are an important way in advance the cause of unity among our churches. 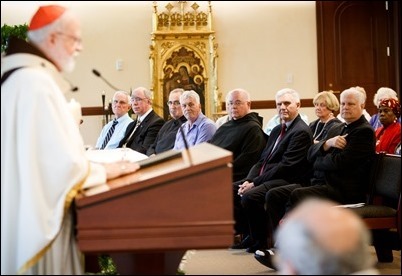 I am grateful to have had this opportunity to be together with our Orthodox brethren.